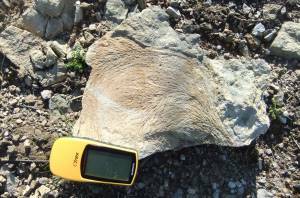 Record Name Fan like trace fossil from Chert Strata. 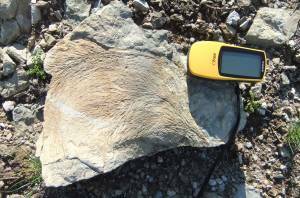 Record Description Finely preserved fan like trace or plant fossil from Chert Strata.Slab No 3. 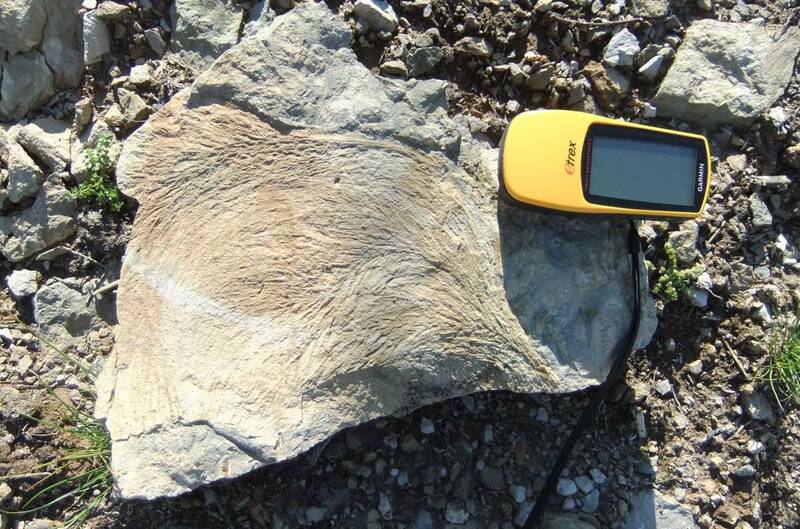 Additional Notes This an exceptionally fine example of a fossil which is not uncommon in strata of Namurian Age. 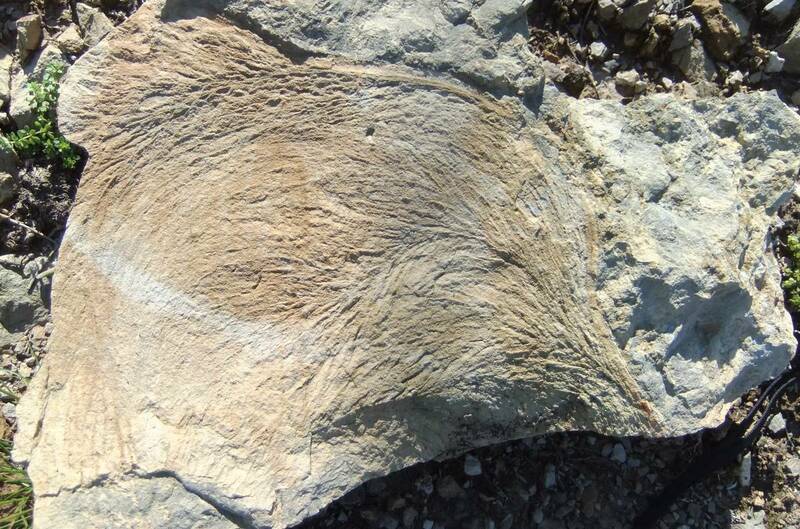 Now identified by John Russell as Girtyocoelia, a member of the sponge (Calcispongia) family. Image 1 Description ow Finely preserved fan like trace or plant fossil from Chert Strata.Slab No 3. Image 2 Description The same slab. Image 3 Description The same slab.